As you may have noticed Mindful Design Consulting brand also had a complete makeover this year. We've had the same look since 2008 and it became outdated and stagnant by modern design standards. The new logo and colors represent the bright and cheerful work we usually do for our clients. Please let us know what you think about our new brand! You can see our new website with the new colors and meet our design team HERE. 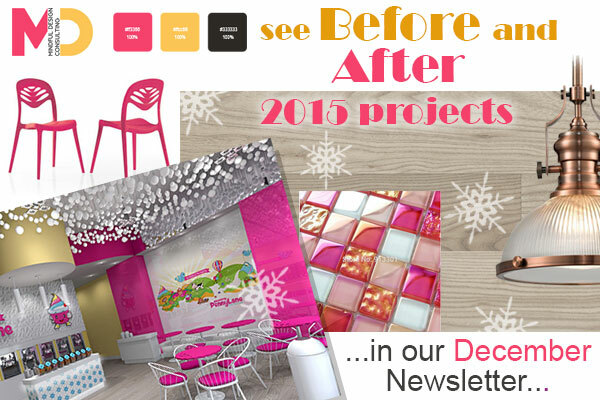 If you missed it, read our May newsletter about the latest color trends in commercial interior design. 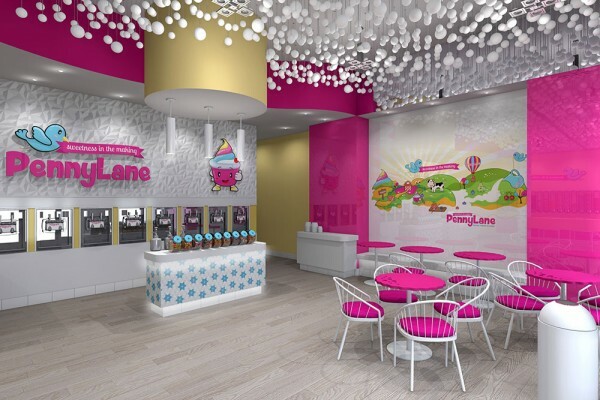 Penny Lane is a new frozen yogurt shop brand which will open its doors in Campbell, CA. 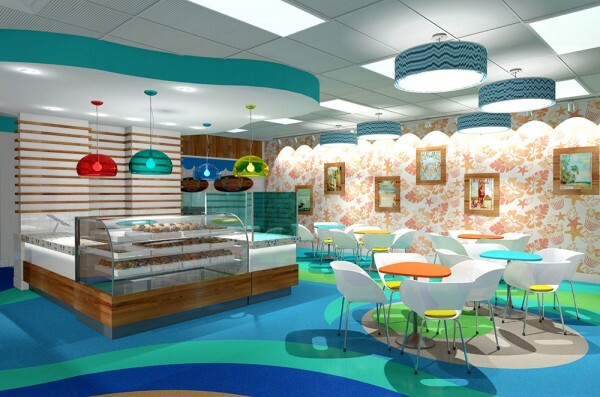 Penny Lane isn't going to be any ordinary yogurt shop, it will stimulate your full range of senses as you enter the store! 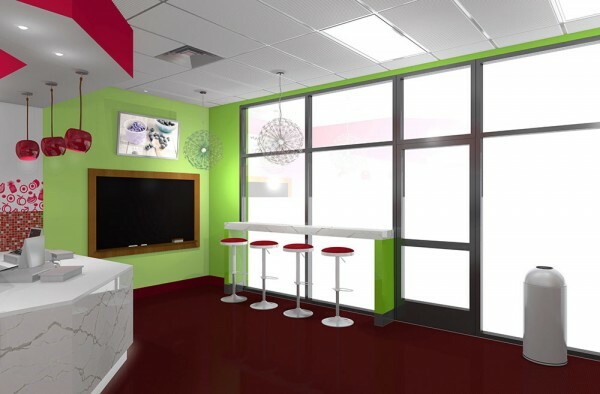 Above: Penny Lane Yogurt shop interior view. 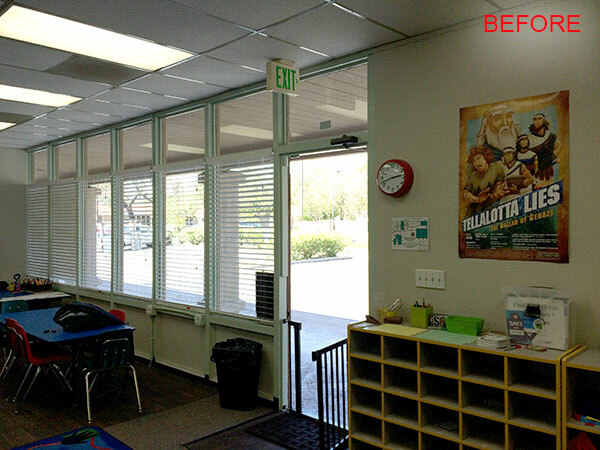 You can see back painted glass and decorative wall panels finishes on walls. 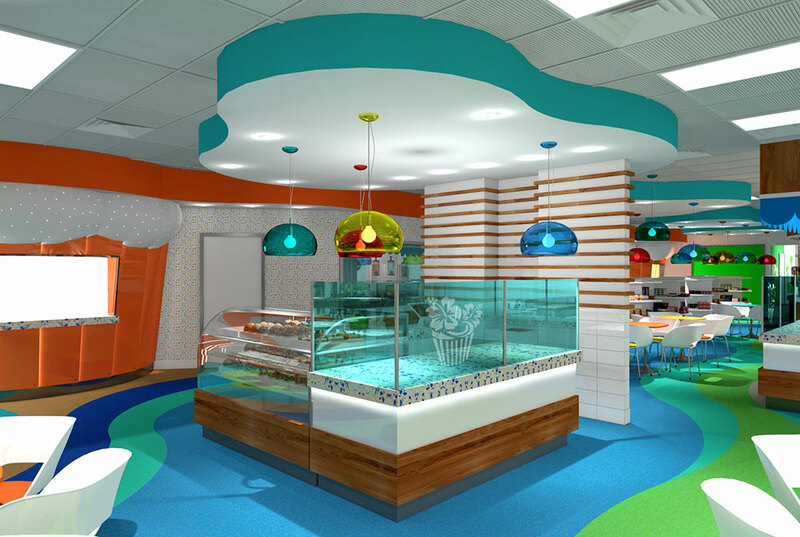 Custom Graphics was designed by Mindful Design Consulting to complement the playful interior design of the Penny Lane store. Above: Penny Lane logo designed by Mindful Design Consulting. 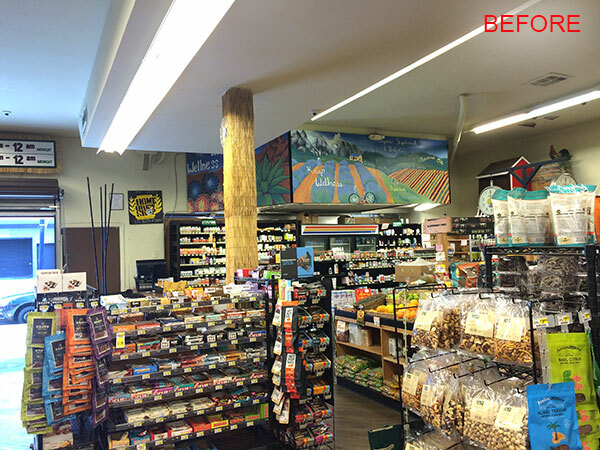 Above: Custom wall graphics designed by Mindful Design Consulting for Penny Lane store. Above: another view of Penny Lane yogurt shop. Over 900 round balls in 3 different sizes will be placed on the ceiling of the store. The lights will be changing colors controlled by a computer program. If you are living in the Bay Area or are planning to visit, this will be a place to experience! Penny Lane is under construction right now. Follow them on Facebook HERE. 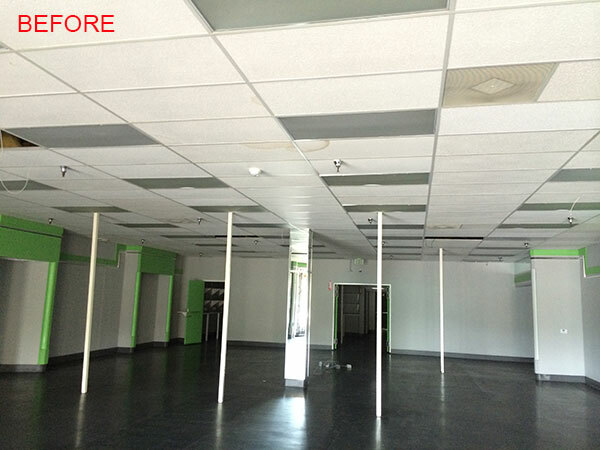 Left: Penny Lane Yogurt shop space before the construction started. We had a great advantage by having a tall ceiling in this space. 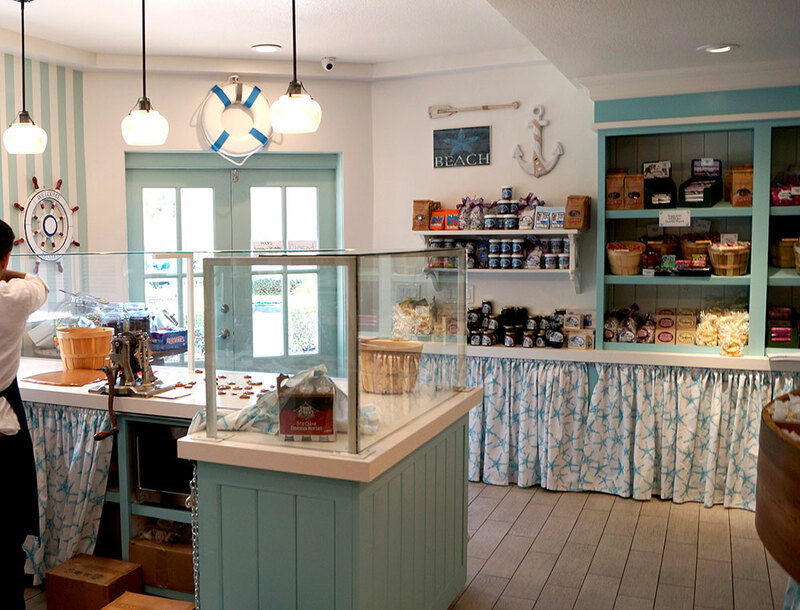 If you remember last year we had the pleasure of designing a new interior for Cousin's Candy store in Old Town San Diego. 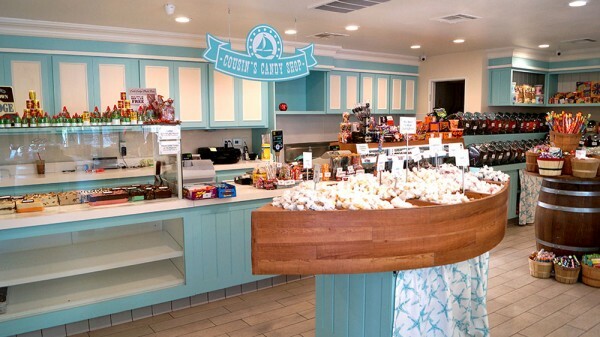 This year Cousin's Candy opened their 3rd location in Seaport Village. The store is famous for making homemade taffy which is made fresh daily! 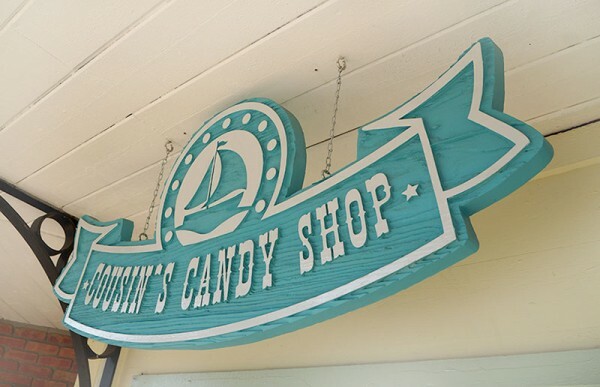 Above: New Cousin's Candy Store logo made into an exterior sign. Design by Mindful Design consulting. 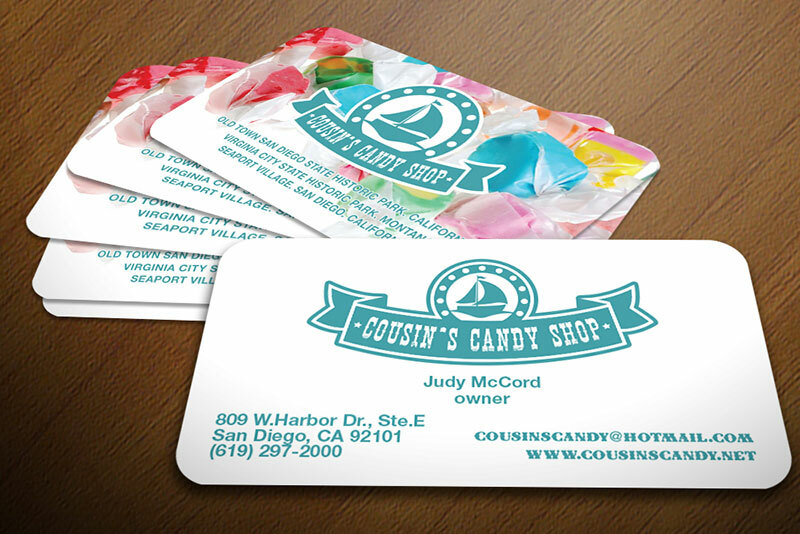 Above: New Cousin's Candy Store's business cards designed by Mindful Design Consulting. 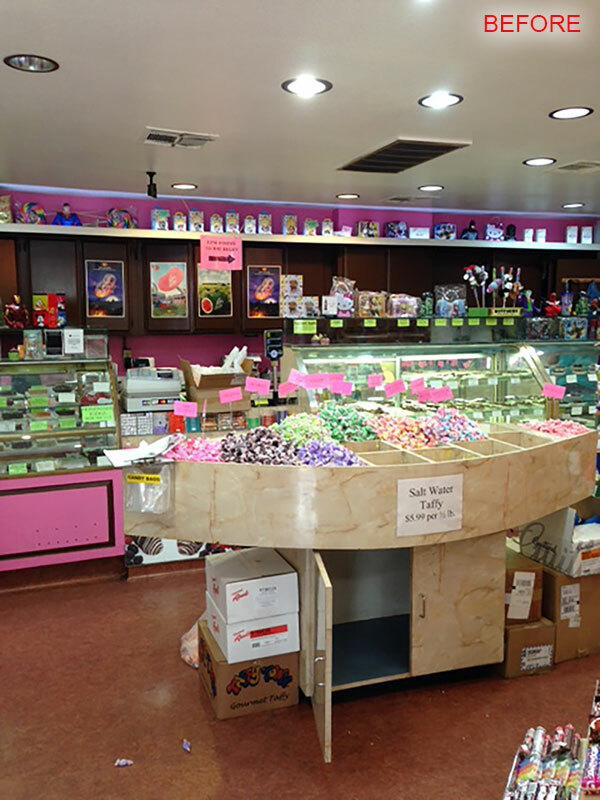 Above: Cousin's Candy Store almost moved in. Only a few empty shelves. 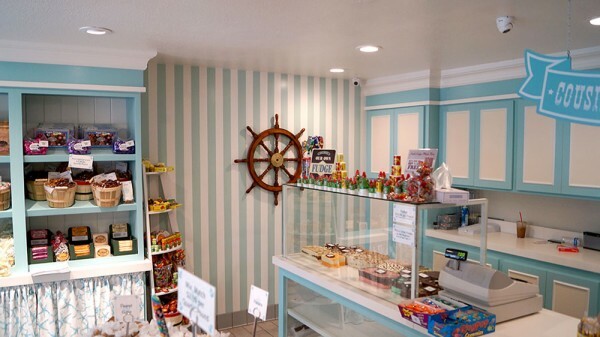 The boat candy display from the previous store was refinished and reused, see Before photo below. 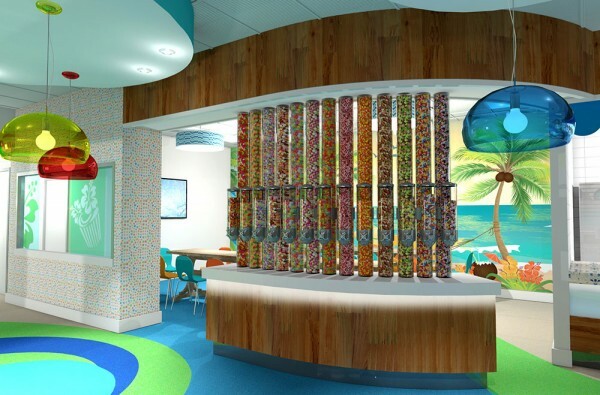 Above: Cousin's Candy Store interior design. New porcelain tile flooring looks just like real wood! Left: Cousin's Candy Store space used to be an old candy shop. You can see the boat candy bin that was refinished for the new store. 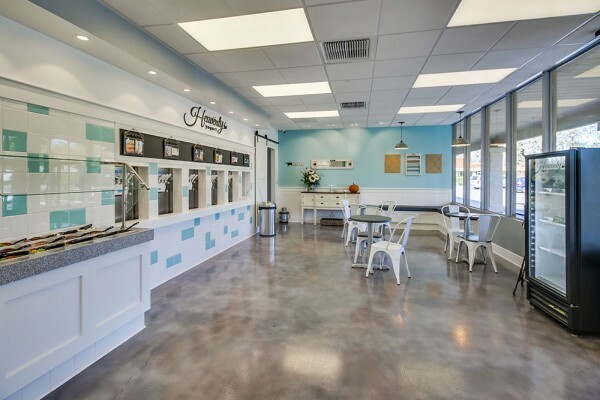 Heavenly Yogurt shop brought an old ice-cream feel to the local community of Tierrasanta, San Diego, CA. The interior design was a close collaboration with the owner of the place who knew exactly what she wanted the store to look and feel like. Above: Beautiful concrete flooring and decorative barn doors look very harmonious together. 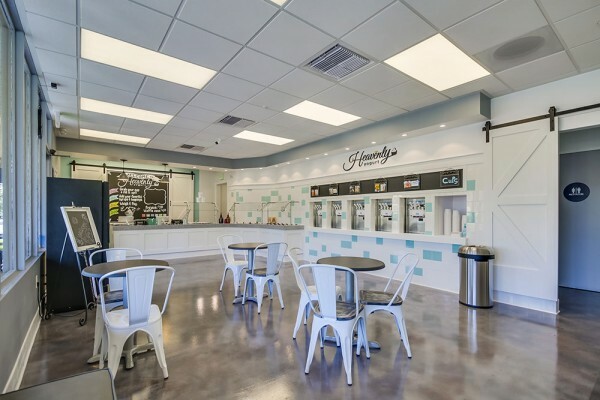 Above: The space of Heavenly Yogurt Shop was used by the local community church for a weekend school. Krisp beverages and Natural Foods store is ready for a new addition, making fresh pizza right in the corner of their store! 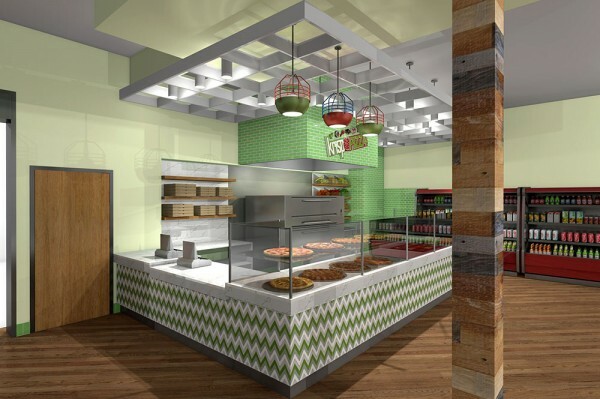 Above: Krisp Pizza interior design view. 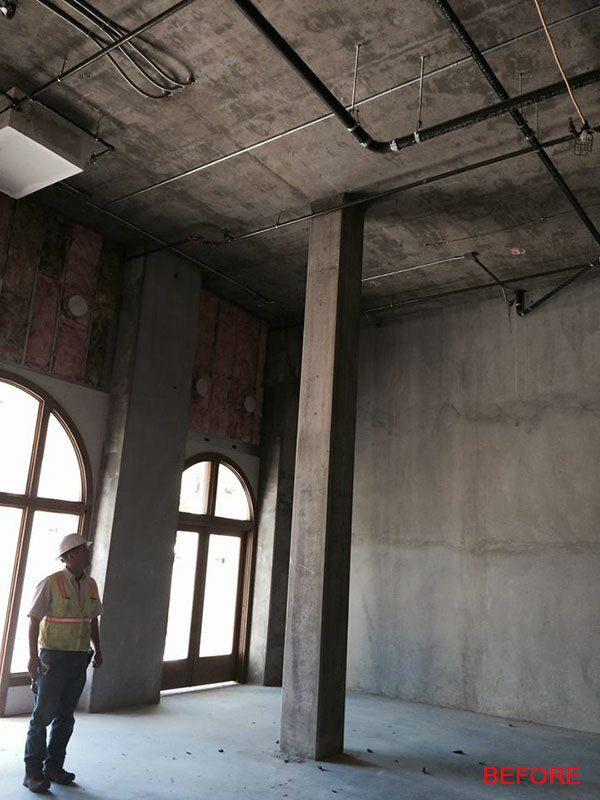 The aluminum ceiling frame will be suspended above the counter to hide all the existing and new electrical cables and plumbing pipes. 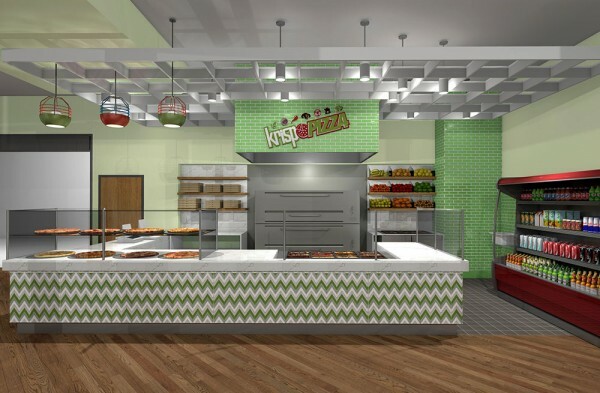 Above: Krisp Pizza corner before the new addition. Ohana cupcakes is a collection of amazing activities and events for kids and adults! You can bake your own cupcakes, decorate them or buy premade cupcakes of any style and flavor. Yes, gluten free cupcakes are also available! You can shop, have a birthday party, or you can simply relax and have a favorite hot drink with a dessert. 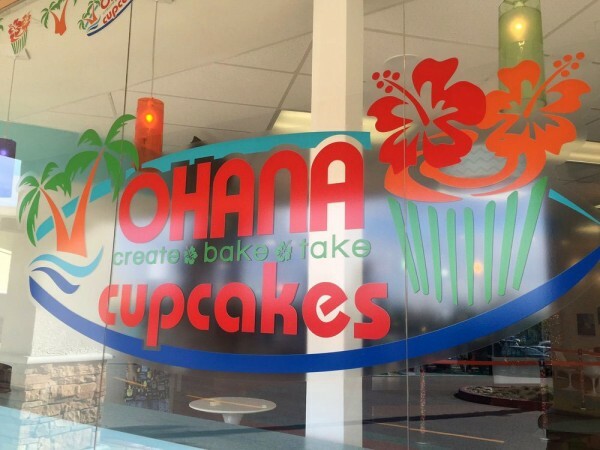 Above: Ohana Cupcake Store logo designed by Mindful Design Consulting. 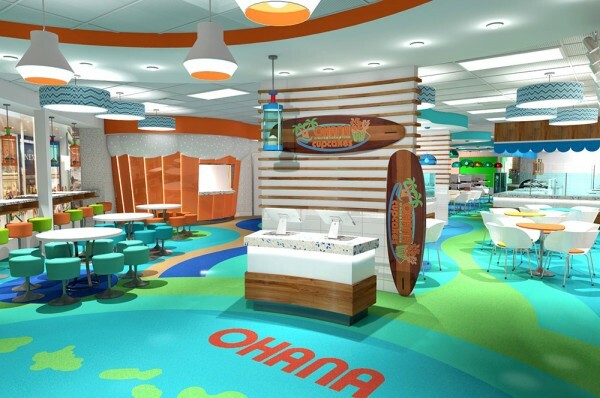 Above: Ohana Cupcake store interior design: entrance counter. At the entrance you will be greeted and given a choice to either make and bake your own cupcakes or select from premade desserts. You will take a different rout accordingly. 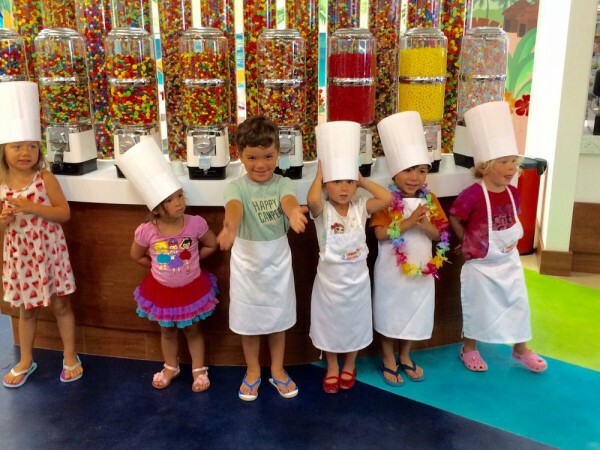 Above: Kids love visiting Ohana Cupcakes store! Ohana Cupcakes Store's space used to be an electronics store. 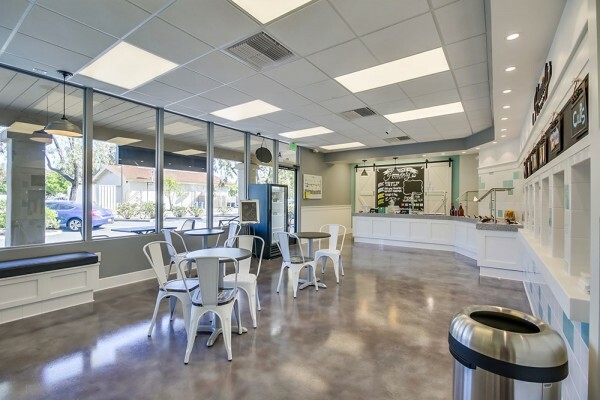 Cherry Chill Frozen Desserts store is located in Ontario, CA. 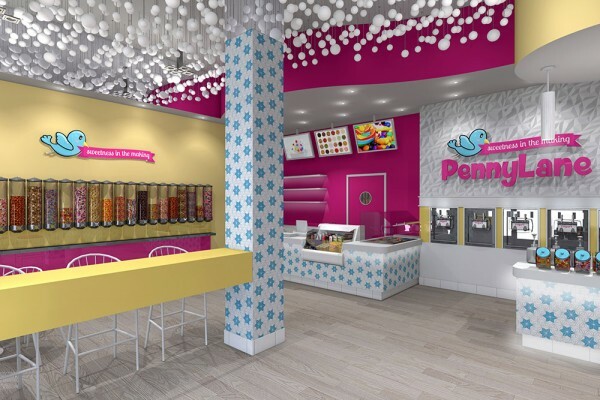 The store will offer frozen yogurt and other cold desserts in addition to hot drinks. Above: Cherry Chill Store logo designed by Mindful Design Consulting. 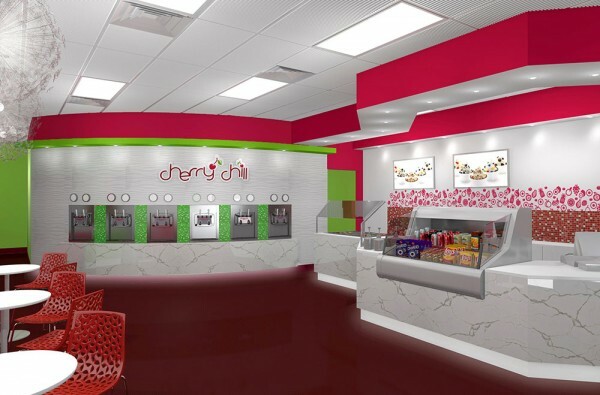 The interior of Cherry Chill Store was inspired by the name itself - sweet cherries. 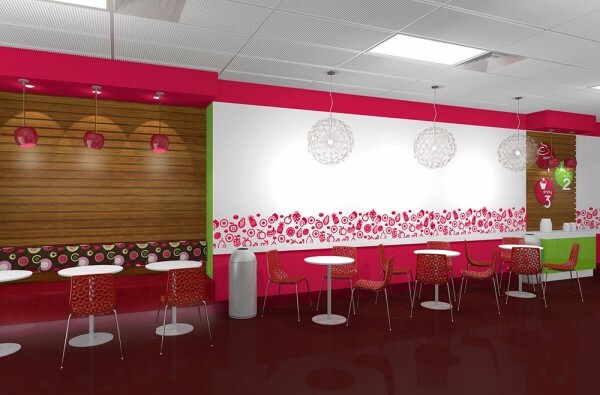 We used light green and cherry paint colors for the walls. 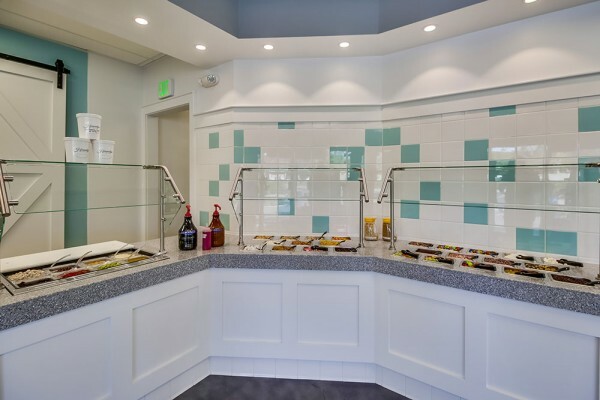 White marble counter is in sharp contrast with the colorful walls and soffits. 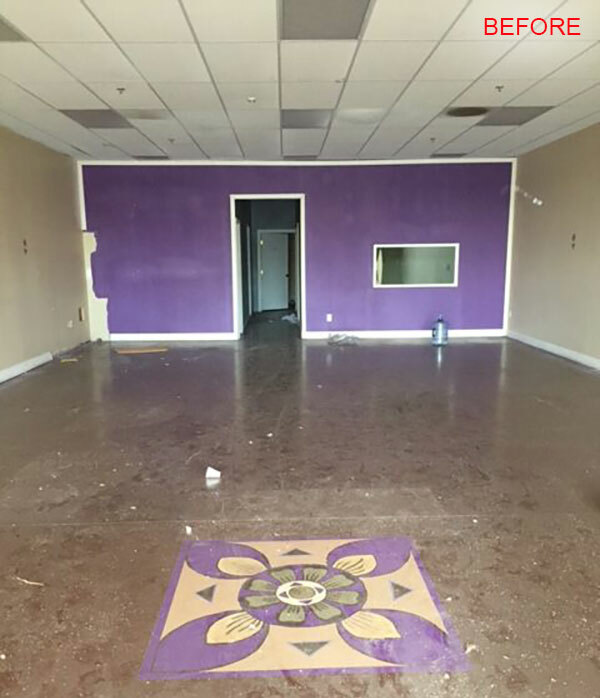 Left: The space for Cherry Chill used to be a nail salon.